Sony Ericsson is preparing to add near-field communication (NFC) radio chips to its Google Android smartphones, enabling wireless mobile payments, ticketing applications and location-based promotions. The news, however, didn’t come by way of Sony Ericsson (s sne) (s eric), but instead was announced by NXP, the same NFC chip-maker Google (s goog) and Samsung used for the Nexus S handset. The advanced functionality in future Sony Ericsson phones could help the handset maker accomplish its bold plan to become the world’s largest Android handset maker. It’s likely we’ll hear a growing number of NFC-related announcements from handset makers in the near future, even though wireless payments and NFC technologies have been bandied around for several years. Why? While the concept of short-range radio chips embedded in a personal device have always made sense, it’s only recently that a semi-standard infrastructure has begun to take shape for smartphones to leverage. Last month, Google lined up the all the pieces to the puzzle with Google Wallet and support from Citibank (s c), MasterCard (s ma), Sprint (s s) and First Data. But the new service is limited to San Francisco and New York City for now, and only works with Sprint’s version of the Nexus S handset. It may sound surprising that Sony Ericsson appears next in line for NFC adoption, given that its first few Android handsets were slow to see software updates. The Xperia X10, for example, debuted with Android 1.6 in late 2009, at a time when Android 2.0 was arriving. The handset maker eventually offered an upgrade to Android 2.1, but it was delayed and took nearly a year to get out to handset owners. When it comes to “cutting edge” Android functionality, Sony Ericsson isn’t at the top of the list. But last September, the company refocused by dropping the Symbian platform, and proclaimed that it planned to beat out Samsung, HTC, LG and others as the top supplier of Android handsets. Sony Ericsson currently holds 9 percent of the Android handset market according to Strategy Analytics. The first result of the company’s shift is the smart use of Sony’s PlayStation gaming roots in the form of the Xperia Play smarpthone. 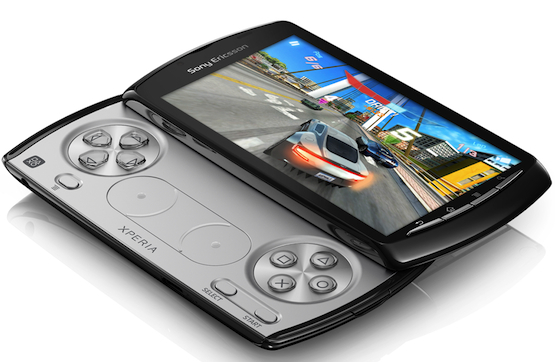 The Android 2.3 device doubles as a gaming handheld, complete with Sony PlayStation Portable game controls and titles from Sony’s library. The Xperia Play isn’t setting sales records, but it shows that Sony Ericsson trying to make good on its promise of leading the pack. And if the smartphone maker can integrate short-range wireless communications that let the phone be used for purchases, to unlock doors or to earn deals based on proximity, the company can build on its momentum. At the same time, Sony Ericsson can help change NFC from just a nice theory into a practical feature on a range of phones. Many NFC Phones launched in the last days. BlackBerry 9350/60/70, Nokia comes with three new phones 600/700/701. No embedded secure element or SWP in the Nokias for secure payments. But… in the press release many words about NFC technology. Nokia is absolutely right pointing to the NFC sharing and pairing capabilitys. 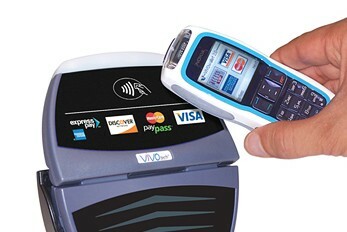 NFC is much more than mobile payments. For the most updated overviews of available NFC Phones by country and by carrier.